The RS7 Performance comes standard with the sport exhaust that’s optional on the 560-hp RS7. That less-powerful RS7 will continue to be available, and Audi of America execs figure the sales split will be 50/50. RS7 comes with carbon-ceramic brakes that aren’t available on the base car, as well as some tasteful aesthetic upgrades and the delectable engine alterations. Buy with confidence. Our pre/owned vehicle pricing policy is simple. We use no hassle, no haggle, live market pricing! Save time and money. All prices shown include all fees, reconditioning costs, Car Fax report, complete vehicle detailing and a full tank of fuel. Taxes and licensing extra. At Audi Windsor we strive to provide exceptional customer, honesty and a transparent approach to exceeding the needs of our customers. Click or call to book your test drive today. While every reasonable effort is made to ensure the accuracy of the stock images, pricing and information contained on these pages we ask that you please verify any information in question with Audi Windsor. 2019 Cadillac XT5 AWD In Black comes with Dual-zone automatic climate control, Bose® premium 8-speaker audio system, Power liftgate, Keyless Open, Remote Start, OnStar® & Cadillac Connected Services capable, 4G LTE Wi-Fi® hotspot capable, 4-wheel independent suspension & Premium Care Maintenance, 4-wheel antilock disc brakes, Automatic Stop/Start, Brakes-active control, Rear Park Assist, Automatic on/off headlamps, Capless fuel fill, Deep-tinted glass, 5.7'' diagonal color Driver Information Center, 6-way power front passenger seat adjuster. Buy with confidence! Our pre-owned vehicle pricing policy is simple. We use no hassle, no haggle, live market pricing! Save time and money. All prices shown include all fees, reconditioning costs, Car Fax report, complete vehicle detailing and a full tank of fuel. Taxes and licensing extra. At Audi Windsor we strive to provide exceptional customer honesty and a transparent approach to exceeding the needs of our customers. Click or call to book your test drive today! Stunning 2018 Audi A6 Progressive Quattro AWD, S Line package, Equipped with Navigation, rear view camera, Power sunroof,19 inch 10 spoke alloy wheels, Power Leather Heated seats, Heated steering, Memory seats, park assist with sensors, Auto engine on/off function and much more. Book your test drive and come see our Sales Team today!!! Buy with confidence! Our pre-owned vehicle pricing policy is simple. We use no hassle, no haggle, live market pricing! Save time and money. All prices shown include all fees, reconditioning costs, Car proof report, complete vehicle detailing and a full tank of fuel. Taxes and licensing extra. At Audi Windsor we strive to provide exceptional customer, honesty and a transparent approach to exceeding the needs of our customers. Click or call to book your test drive today! 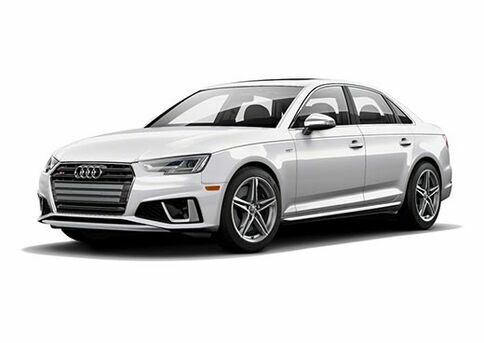 This luxurious Audi A4 Technik Is fully loaded In a gorgeous Manhattan Grey, sporting a 2.0L In line 4 turbo charged engine out putting 252 horsepower and 273 ft-lbs of torque. Comes with Audi Certified warranty coverage until May 2023!! Top of the line Technik model with Audi's awarding winning 13.2'' Virtual cockpit display. Blind spot monitoring, adaptive cruise control, heated and cooled front seats, LED lighting, keyless access with push start and list of options and equipment just keeps on going. This Is an exceptionally clean Audi Q5 Progressiv, this vehicle was a corporate demo and Is loaded with tons of features. 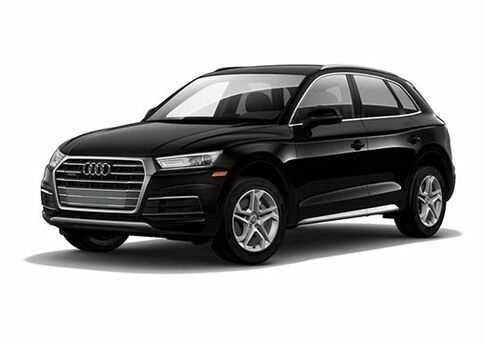 This Q5 Is powered by a 2.0L Inline 4 turbocharged outputting 252 horsepower. With a beautiful Ibis White exterior and fine Nappa leather interior this vehicle is equipped with 19'' wheels in 5-spoke Dynamic design, Heated steering wheel, Rear view camera, Front and rear parking sensors, Bluetooth, Power folding, auto-dimming exterior mirrors, Panoramic sunroof with electric sunshade, Power tailgate, Multifunction 3-spoke leather steering wheel with shift paddles. 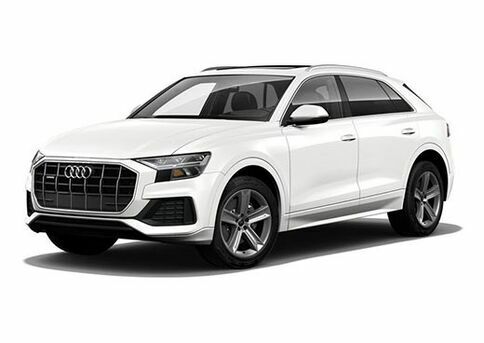 This Q5 Is also equipped with the driver assistance package which includes Audi side assist, Top view camera, Audi pre sense rear, Rear cross traffic alert & Exit warning system, 1500$ value. - Driver assistance package (Audi side assist, Top view camera, Audi pre sense rear, Rear cross traffic alert & Exit warning system) 1500$ value. This magnificent Audi TT In Ibis white. immaculately clean, 2.0L Turbo charged Engine producing 220 horsepower & 258 ft-lbs of torque. Driver comfort package which includes; Audi parking system with front and rear sensors, Rear view camera, Audi side assist & Advanced key, a package totaling $1400. Navigation package which includes Audi MMI Navigation plus for Audi virtual cockpit, DVD playback & Speech dialogue system with whole-address entry, a package totaling $1800. S-Line Sport package which includes S line exterior, S line fender badging, S line aluminum door sills, S line badge on steering wheel, Brushed aluminum inlays, S line sport suspension, 19'' Audi Sport 5-double spoke wheels, 245/35 R19 performance tires, S embossing on front seats & Anthracite accenting on seats and in the interior, a package totaling $1900. This Audi TT Is also equipped with the LED lighting package which includes LED headlights with LED turn signals, LED tail lights with dynamic turn signals & LED All-weather lights, a package totaling $1100. A truly gorgeous Audi A4 Progressiv In Brilliant Black sporting a 2.0L Inline 4 Turbocharged providing 252 horsepower and 273 ft-lbs of torque to the Quattro AWD system. 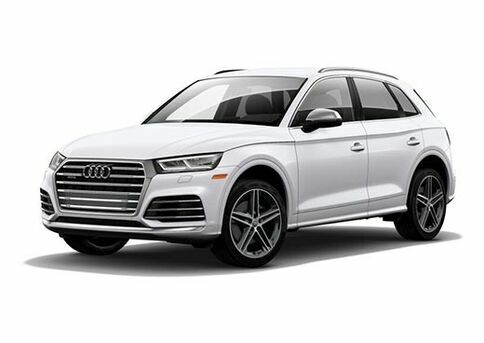 This vehicle is equipped with the DRIVER ASSISTANCE PACKAGE which includes Audi side assist, Top view camera, Audi pre sense rear & rear cross traffic alert, 1500$ value. Also Included Is 18'' wheels in 10-spoke V design, MMI Navigation plus with 8.3'' display, LED Headlights, High-beam assist, Heated steering wheel, Rear view camera, Front and rear parking sensors, HomeLink garage door opener, Foot-activated trunk release, Auto-dimming exterior mirrors and interior mirror with compass, 10-speaker Audi sound system, Bluetooth, S line exterior design, Heated front seats, Audi smartphone interface & Bi-xenon headlamps w/ LED daytime running lights and tail lights.